Castles held a pivotal position as seats of power for centuries. This short history explores their significance, the battles and sieges that were fought over them, and life in and around the castle. Fortified structures have been in existence for thousands of years. In ancient and medieval times castles were the ultimate symbol of power, dominating their surroundings, and marking the landscape with their imposing size and impregnable designs. After the Norman conquest of England, castles exploded in popularity amongst the nobility, with William the Conqueror building an impressive thirty-six castles between 1066-1087, including Windsor Castle is one example of such a castle which survives today, a monument of the remarkable architecture designed and developed in medieval England. 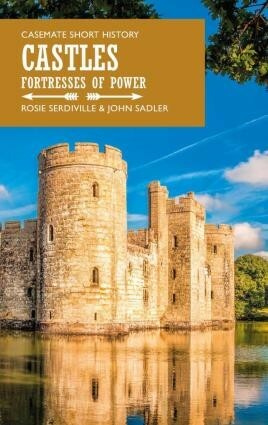 This concise and entertaining short history explores the life of the castle, one that often involved warfare and sieges. The castle was a first and foremost a fortress, the focus of numerous clashes which took place in the twelfth and thirteenth centuries. Castles became targets of sieges, such as that organised by Prince Louis of France against Dover castle in 1216, and were forced to adopt greater defensive measures. Also explored is how they evolved from motte-and-bailey to stone keep castles, in the face of newly-developed siege machines and trebuchets. The trebuchet named Warwolf, which Edward I had assembled for his siege of Scotland's Stirling Castle, reportedly took three months to construct and was almost four hundred feet tall on completion. With features such as ‘murder-holes' for throwing boiling oil at the attackers, the defenders in the castle fought back in earnest. Alongside such violence, the castle functioned as a residence for the nobles and their servants, often totalling several hundred in number. It was the location for extravagant banquets held in the great hall by the lord and lady, and the place where the lord carried out his administrative duties such as overseeing laws and collecting taxes.